What before represented a symbol of freedom and autonomy today is seen as an uneccesary heavy burden, we are talking about car ownership. The concept of ownership is greatly changing due to the introduction of new technologies and their ability to connect goods, services and people, but also due to a new thinking in which access is much more valuable than private ownership. The sharing economy is being the centre of this technological and social change providing car-sharing platforms like BlaBlaCar, Car2Go or SocialCar. However, the sharing economy and therefore also car-sharing, is in its first stage of development, much more can be done in order to achieve a real distributed sharing economy in which peers can easily access to what they need. At this point is where the blockchain plays the most important role, by applying this technology to the sharing economy this becomes fully distributed increasing, in turn, its potential. HireGo has noticed the advantages of this combination, and as pioneers, they are creating a new blockchain-based app to unlock mobility and bring car-sharing to the next level. 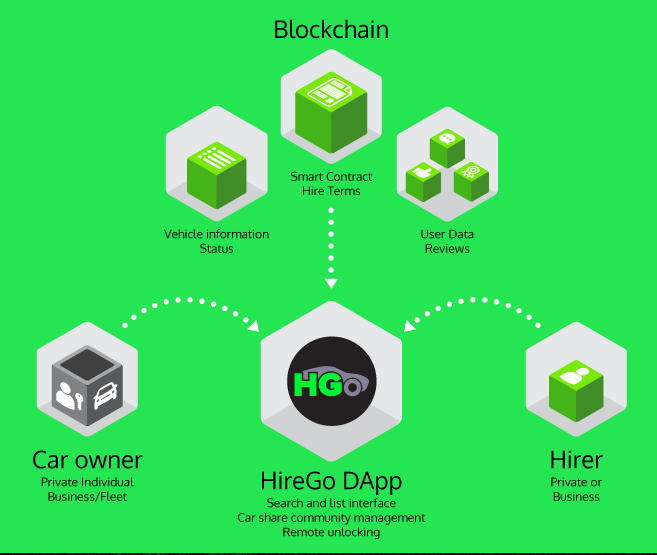 After 4 years researching digital economies, particularly the sharing economy, I am very excited about collaborating in this project as advisor, I strongly believe that HireGo is going to create, for the first time, a real car-sharing network without third parties or hierarchies.